6/10/2017 / By Dylan / In: Rough Drafts / Comments Off on Take a memo. If we learned anything from former FBI Director James Comey’s testimony this week, it’s the importance of well-written memos. Comey’s memo to the Senate, spelling out his introductory statement, is clear, crisp, and to the point. It contains a wealth of precise detail that lends credibility to his report. And it is restrained: He doesn’t accuse the President of anything illegal, he merely spells out the circumstances of their various meetings and explains enough of the context so that readers can understand why the President made the FBI Director so uncomfortable. What’s more, the fact that he wrote memos after every meeting with the President is also credibility-enhancing. 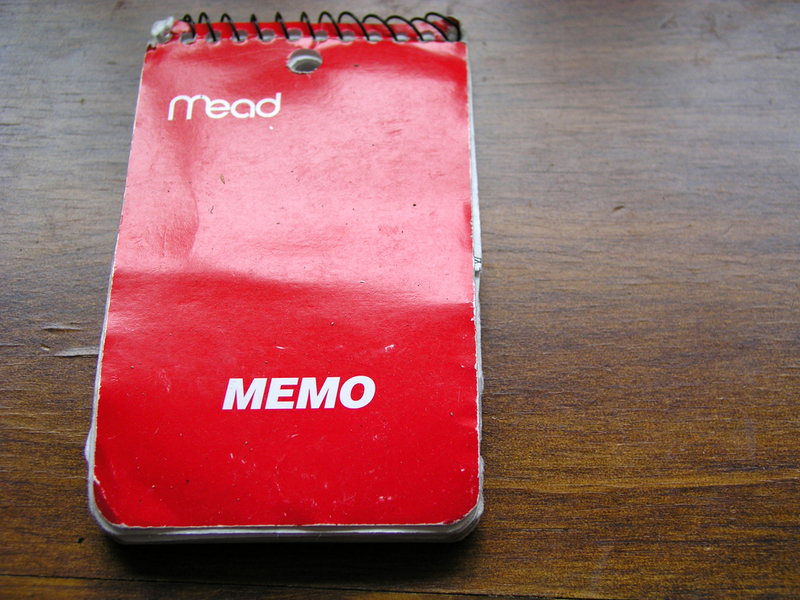 There’s no better time to take notes than during a meeting or immediately after it, as every journalist knows. The passage of time erodes memories and changes perceptions. Of course your experience is your own: It’s not like anyone is going to be recording the Objective Truth in their memos. How much you believe in the veracity of Comey’s memos depends largely on how much credit you give Comey himself for being honest and impartial. However, all other things being equal, a factual statement written at or shortly after the events in question should carry far more weight than a statement written much later. And that brings me back to the detail. Comey includes particulars about the meetings he had that leave no doubt he was there, and was paying attention. These particulars can be crosschecked by other observers. They lend credibility and enhance the veracity of his writing. This is what is meant by objectivity (with a small “o”) in writing: A focus on presenting the facts as plainly as possible. Note that the facts also include the writer’s reactions and his or her attempts to understand the situation. For example, Comey includes in his memo the fact that the dinner with Trump felt awkward. He mentions that Trump asked for “honest loyalty” but that Comey wasn’t entirely sure if the two of them had the same understanding of what that meant. In situations like this, objectivity includes your own impressions and feelings, and it’s important to include them. Incorporate salient details, including your thinking about what happened and how it felt. Don’t overstate your case–an understated presentation of the facts will carry far more weight, in the long run, than a passionate defense of your point of view.